Where does the legal right to a 5y GREXIT exist? This entry was posted in Blogpost and tagged economy, euro, germany, greece, grexit, international law, law on July 12, 2015 by brianmlucey. Greek myth, which is in case you missed it full of tragedies, is the cultural mine that keeps on yielding for the present crisis. 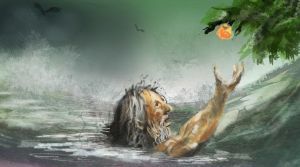 This entry was posted in Blogpost and tagged Academia, frey pie, greece, grexit, mythology, tantalus on July 12, 2015 by brianmlucey. Pretty damning stuff. Those that smugly, glibly, heartlessly, self interestedly , and ignorantly witter and astroturf about Greece needing to do X Y and Z might want to read this. But then that might challenge the closeness of their minds. We may not like the conclusion, but it is quite simple. Greece has not grown and prices have fallen because that was to be expected when persistent austerity is laid on top of an unsustainable debt. The debt-deflation spiral always outpaces the returns from structural reforms. As certainly as these things can be predicted, on the path set out by the creditors, the stakes will continue to be escalated: the debt-to-GDP ratio will continue to rise, the calls for more austerity will grow, and, as the pattern repeats, more debt relief will needed. So we arrive to the present. The IMF looks back at its diagnosis in November 2012 and says, the Greeks did not follow our advice; it is no surprise that they are in a mess and they need more debt relief. The truth is that the Greeks are in a mess precisely because they followed the IMF’s austerity advice and because the promised elixir of structural reforms was illusory. And the double indignity is that the IMF now wants the Greeks to do more austerity in the midst of a debt-deflation cycle because it chooses to misread the evidence of the past years. If that advice is, in fact, followed, it is nearly certain that the Greek debt burden will be greater in two years than it is now. We may cast a moral and political spin on these facts. Indeed, it is understandable that political considerations will play a central role in the European dialogue. But the economic logic is relentless. And the IMF’s role—its only role—is to render the economic logic transparent for informed decision making. In disregard of generations of fine IMF economists and research, the IMF has engaged in its own moral posturing to retrieve its money and hide its failures. To be clear, the argument is not that more debt relief be promised in exchange for more austerity now. The argument is that debt relief is needed now to prevent the need for even more debt relief later. It is as much in the creditors’ interest to change course as it is in the Greek interest. Once that premise is accepted, then within that basic framework there is much that the Greeks can do to improve their lot. But such is the momentum, the politics will almost surely subordinate the economic logic. That would be a mistake. At what is surely a pivotal moment in European and global history, at least the facts must be laid out transparently. via In bad faith | Ashoka Mody at Bruegel.org. This entry was posted in Blogpost and tagged economy, greece, grexit on July 4, 2015 by brianmlucey. The Greek mess is one in which there is plenty of blame for all sides. This entry was posted in Blogpost, Journalism and tagged economy, germany, greece, grexit, merkel, schuabel on July 2, 2015 by brianmlucey. If Greece does GREXIT, which is not certain, this will result in a depreciation of the currency by up to 50% some reckon. And here is the rub. Greece is critically dependent on certain things which will get expensive, while its exports (in trade) are not that large nor perhaps that amenable to rapid rampup in the face of increased demand concomitant on falling prices, or are indeed priced in non Euro currencies anyhow. While tourism and services help, Greece runs a massive CA deficit. The logic of GREXIT is that somehow not only will debt disappear (only if they default in tandem will that happen) but that exports will boom. Well, maybe. This whole thing has been grossly mishandled, and while the Greeks have a bunch of blame, the TROIKA must take the lions share. If they are, as Lagarde said, the “adults” then its time to start behaving like it. This entry was posted in Blogpost and tagged ECB, greece, grexit on July 1, 2015 by brianmlucey.